Schedule: From 10am to 2pm and 4pm to 7pm (the exact schedule can be adjusted with the students). Welcome! We continue with the courses in therapeutic massages and Ayurvedic theoretical-practical treatments, dedicated to understand and assimilate an ancient art of Kerala, in the South zone of India. The results of Ayurveda have been experimenting for thousands of years and the techniques have changed very little because they are effective and harmonious with the human being and nature. Nowadays it is a medicine that begins to have much more demand internationally. In this first level, the Abhyangam Massage Course proposes a theoretical introduction to the basic concepts of Ayurveda, and on the other hand, we will learn the three most important Abhyangam Ayurvedic massages in an extensive practical part. Introduction, definition and basic concepts of Ayurvedic culture and medicine. Basic theories of the medical science of Ayurveda (Cosmology, Theory of the five elements, concepts of the three gunas, the three dhosas and subdhosas). Ayurvedic approach to health and its routines. Anatomy and human physiology in Ayurvedic medicine. (Concepts of Dhatus, Srotas, Agni and Ojas). Pharmacology of Ayurvedic medicine. 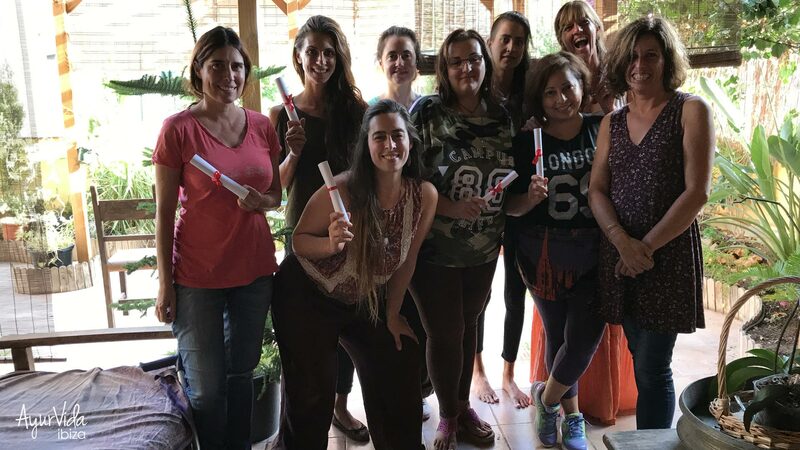 (Rasa concept or flavor, introduction to the most important herbs of Ayurveda, classification, qualities of food in relation to the elements and diets, diets and basic diagnoses: octuple examination and 10 evaluations). Preventive health, daily routine: Dinacharia. Theory and protocol of Ayurvedic Massage. Massage Abhyangam Sukhathirummu Malayam (Complete Therapeutic Massage of Rejuvenation). Taught and synchronized to 2 and 4 hands. Shiro Abhyangam Massage or Champi (Head Therapeutic Massage). 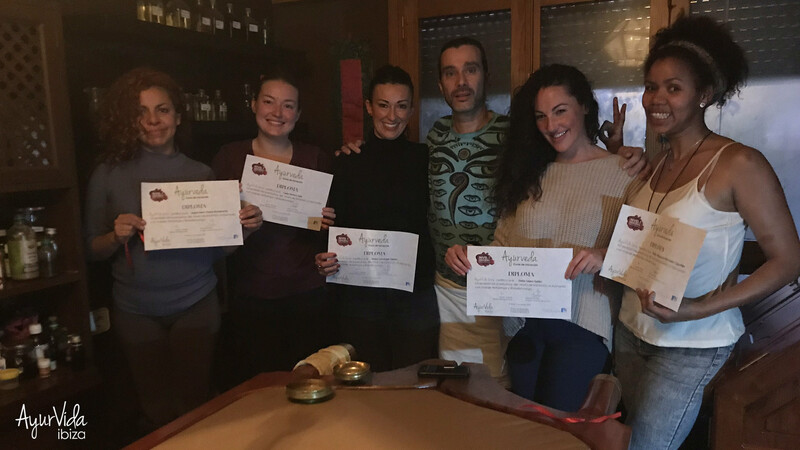 Oriented to work as a therapist in spas and massage centers and for anyone interested in knowing and deepening in Ayurveda. The theoretical-practical course will be held from 10am to 2pm and 4pm to 7pm (the exact schedule can be adjusted with the students). It will be divided into 8 hours of fundamental theory and 20 hours of methodical practical classes to assimilate the treatments perfectly. What constitutes a total of 28 teaching hours. The course will be held within the required period, since it is an intensive training. A diploma and syllabus will be delivered. The total price of the course is € 400 including the oils used and other products used, all of top quality handmade in Kerala, India. 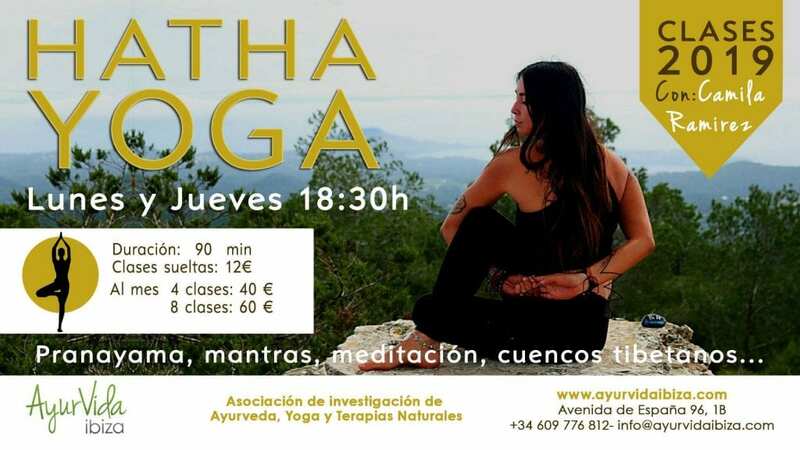 A pre-registration of 150 € will be required before beginning the course as a reservation and the remaining amount will be paid at the beginning of the training. 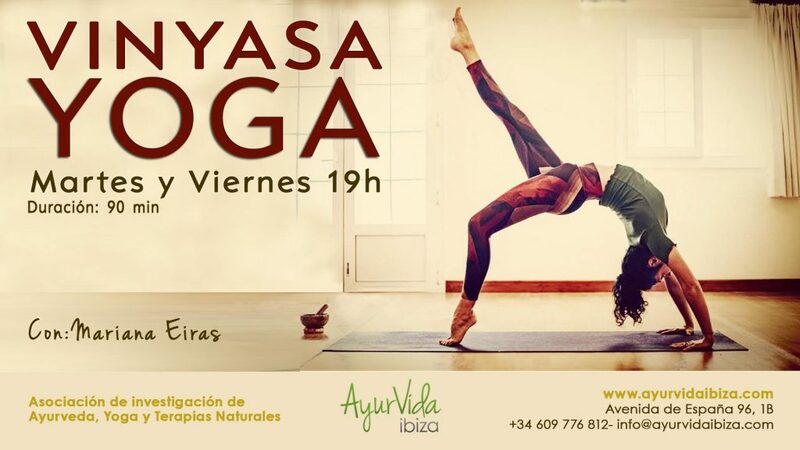 The Ayurveda course is done at AyurVida Ibiza with one of the best Ayurveda facilities in the Balearic Islands.